Dishesfrommykitchen: WISH YOU ALL HAPPY AND SAFE DIWALI !!! I wish all my friends a wonderful and Joyous Diwali !!! Wish u a happy diwali dear. 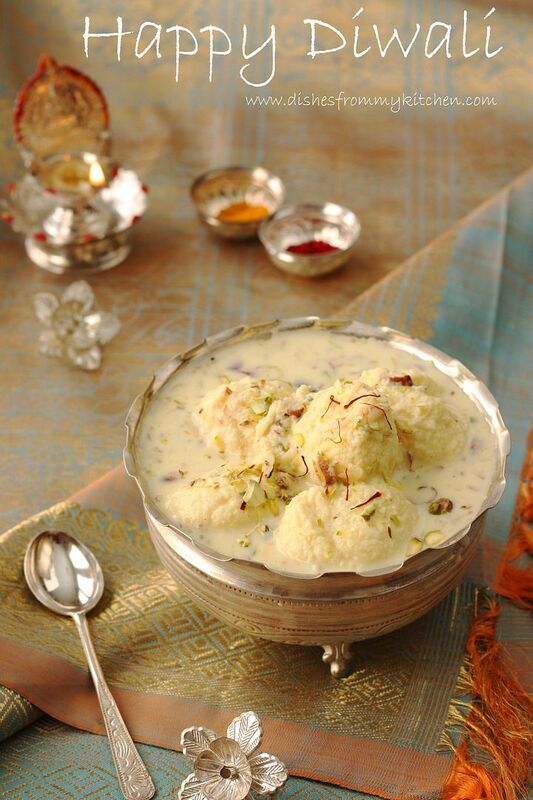 Rasmalai looks yumm. That Rasmali looks so good with those saffron threads. Happy Diwali. Happy diwali dear. A perfect dish for celebration. wish you very happy Diwali Watch Now Truly unprecedented post. I simply found your blog and foreseen that would express that I have really had a great time exploring your blog portions. Anyway, I'll be subscribing to your maintain and I believe you post again soon.